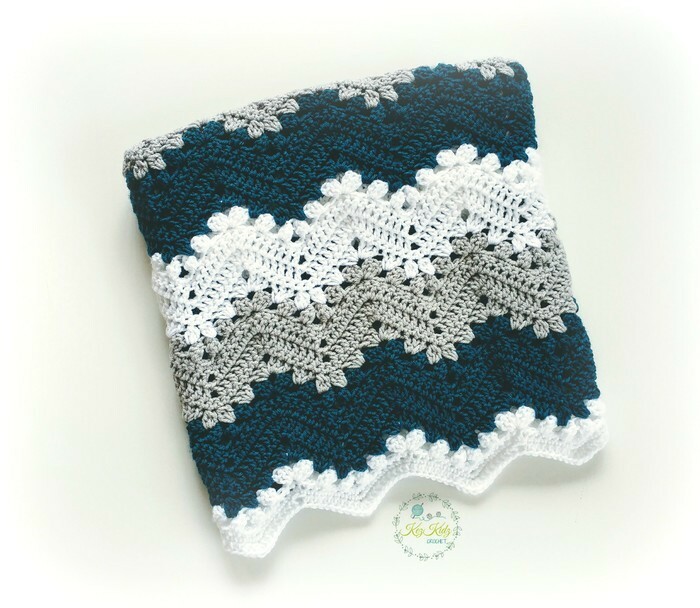 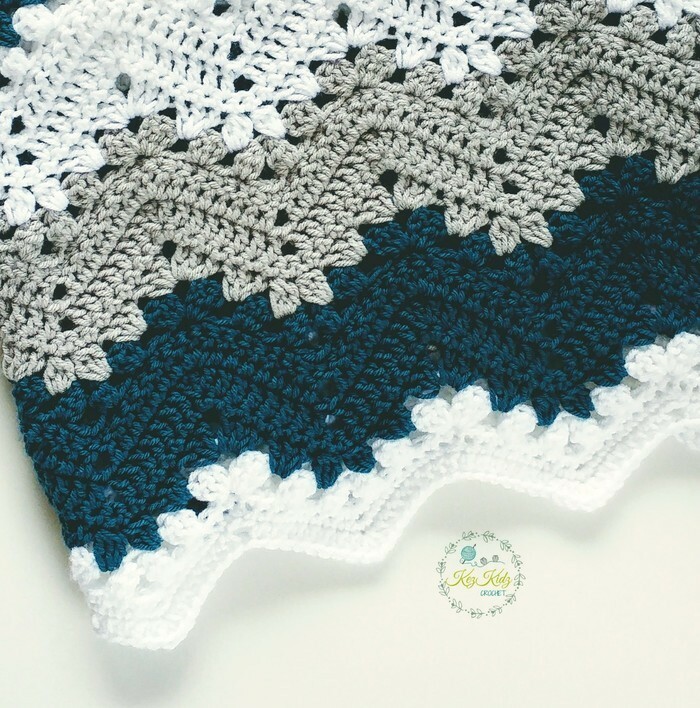 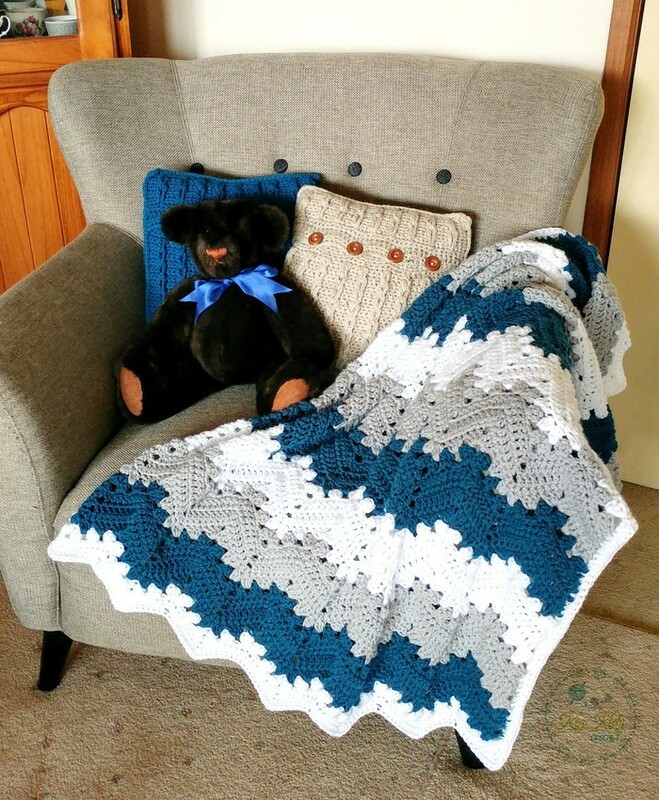 Beautiful chunky handmade crocheted teal, grey & white chevron baby blanket, suitable for pram, bassinet or just to snuggle. 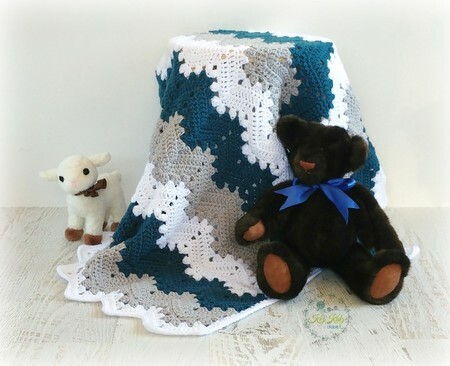 Lovely gift for a baby shower, birth or can be used as a photo prop. 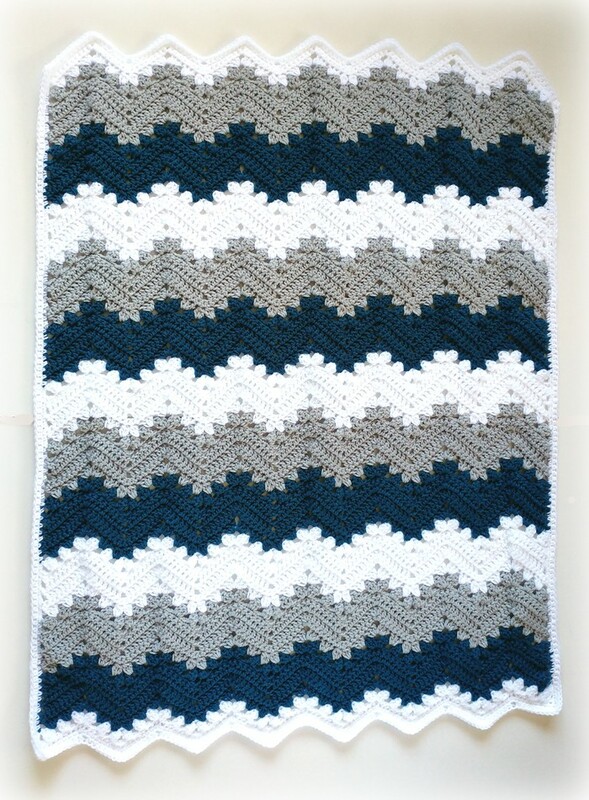 This gorgeous blanket, is made from thicker than usual 12 ply acrylic wool and measures 113 cm x 91 cm and is ready to post.